5 Best Binoculars For Bird Watching For 2017 | Revealed | Best binocular Reviews for birding hunting And Stargazing ! ​[Updated 15 May 2017] Binoculars are essential tools in bird watching activities as they magnify objects far away with a wide field of vision. If you are looking for a high-quality pair, check out the 5 best binoculars for bird watching for 2017 and choose which of them fits your needs. 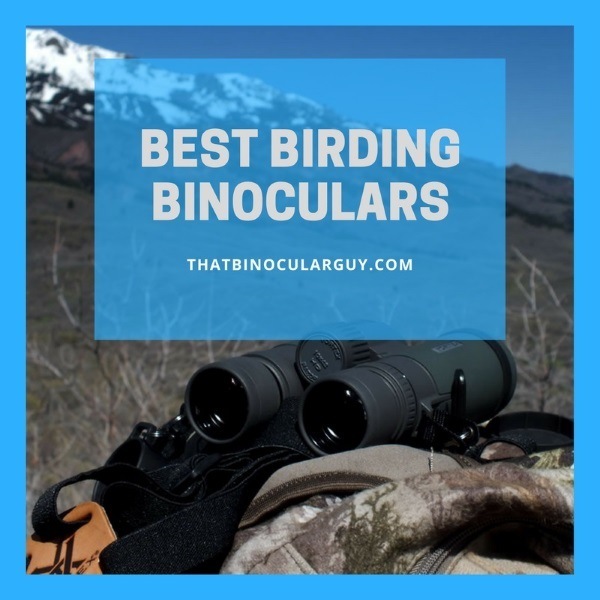 Whether you are an experienced birder, or if you are just starting out, you will find a good set of birding binoculars suitable for your use. 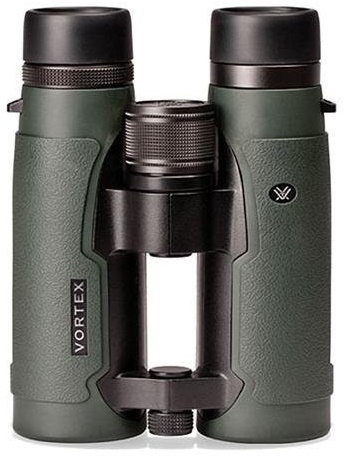 ​I really like a binocular with an open-bridge design, like the Vortex Talon HD 10×42. It is much easier to carry when birding or hiking, and it doesn’t constantly feel like I am going drop my bins. This optics delivers some really sharp images, and there is no binocular in this list that comes close to it when it comes to contrast and clarity. While this isn’t the top of the range binocular in the Vortex range (the exceptional Razor HD is their best offering), it certainly is one of the best binoculars for birdwatching of 2017, and will be among the top optical choices in 2017 as well. Vanguard is one of the trusted brands in the optics industry. Their products have excellent reviews from bird watchers and photographers. The Vanguard 10×42 ED II optics is equipped with extra low dispersion or ED glass. This type of glass focuses light through the lenses better for sharper, clearer images. This feature was only found in highly expensive optic models before, but is now becoming more common in less costly binoculars. For those with eyeglass, this pair of binoculars is the perfect one for you. You do not have to take off your eyeglass while viewing in this model. Even with them on, you will still be able to see images that are clear and undistorted. Aside from bird watching, you can also use these binoculars for stargazing at night. You will be able to see star clusters, distant galaxies and nebulas without any light spikes or haze around celestial bodies of light. This optics is made of sturdy engineering inside that result in a smooth focus wheel function. It comes with a locking mechanism which ensures that the diopter settings will not change at random, giving you great control over the magnification. 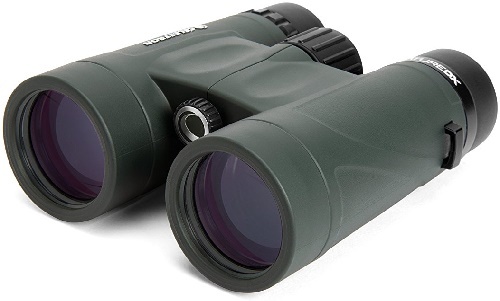 You get all these amazing features in this Vanguard 10×42 Binocular for only less than $200. It is built with stellar quality. It is also easy to carry which is great for travel. For beginners and those with a limited budget, this binocular is the right one for you. 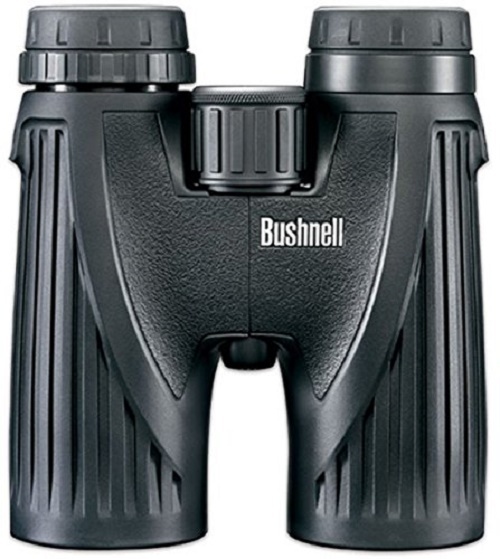 The Bushnell Legend Ultra HD 8×42 binoculars give you great color depth and clarity for a low price. It comes with an excellent depth of view, giving you a more realistic picture of the subject you are viewing. This optics has 8x magnification capability, a bit smaller compared to others in its range which are equipped with 10x zooming ability. However, the difference is just too small that you could not even feel it. It still has the same capabilities. This 8x42 optics is great for near-sighted individuals as they will be able to clearly see those objects in a faraway distance even without their eyeglasses. For those who want to wear their glasses though, you may notice some distortion in the clarity. This is normal as this is the nature of optics. 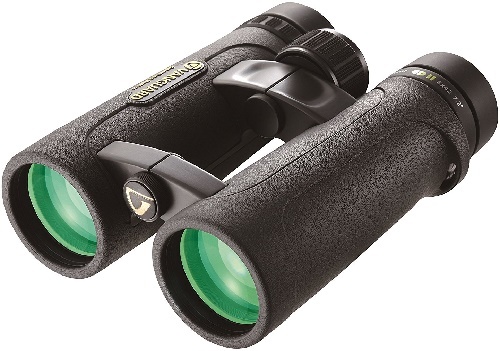 With all the features and a highly competitive price, this binocular is currently considered to be the best 8x42 HD binocular on the market. For around $200, you will be able to get a lot of accessories including rubber lens caps, a professional neck strap, front and back eyepieces, and a cleaning cloth. With this, you no longer have to spend more to purchase its auxiliaries. ​This is the cheapest binocular among the five listed here. At 8×40, it may lack some magnification. However, it made up for it through its well-built structure and quality features. Aside from this, the 7328 Action Ex Extreme is a waterproof binocular. It can be submerged under 1 meter of water for up to 30 minutes. Nikon has always manufactured high quality products in the camera and lens industry. This optics is just among them. At a price of $300, you will be able to enjoy the excellent features of this binocular. The 7295 Monarch ATB 10X42 boasts of design elements that produce clear and precise images. It has a dielectric high-reflective multi-layer prism coating, close focus distance, and eye relief. The dielectric high-reflective multi-layer prism coating increases light reflectivity far beyond what a metallic coating can offer. This coating provides almost the same brightness as perceived by a human eye. This gives you clear high contrast images. The close focus distance feature allows you to view small objects and things like butterflies or birds on your feeder in the backyard. This optics model has retractable eyecups that are great for users who wear eyeglasses. With this, you will be able to comfortably use your binoculars without having to take off your spectacles. Aside from these features, this model is fully water and fog proof. This optics is also equipped with a rubber outer shell for maintaining a firm grip. It is very lightweight, weighing only 1 ½ pounds. With this, you will be able to easily carry it when you travel. ​The Celestron Nature DX comes with an excellent depth of view that lets you view quality clear images. While it only has 8x magnification, its feels more like 10x which makes you overlook the difference. Using these binoculars, you will be able to easily follow the birds even with their unpredictable patterns. The diopter setting in this optics is one of the best in the industry. Once you have set them before buying, they will not need to do any adjustment for years. This is great news especially for beginners as it will allow them to bird watch as much as they want, even in rough terrain. They do not have to worry about the optics being compromised. 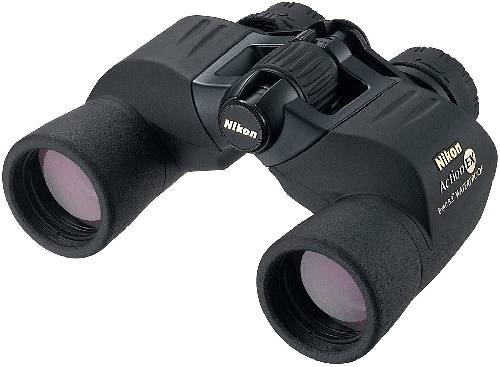 At less than $150, the Celestron 71332 Nature DX optics is an amazing deal. Celestron made the right choices and trade-offs to keep the price reasonable making it the best binoculars for bird watching for beginners. ​With the binoculars listed above, you might be confused which one is suitable for you. To be able to select the right one, there are some factors that you need to consider. They are the magnification, diameter of the lens, and type of prism. Binoculars come in different magnification. You can find 7x, 10x and even 12x magnified binoculars. The number indicates how many times the object you are viewing will seem closer to you than they actually are. For birding, the best ones are those with 10x magnification. 7x is too small for birding and 12x is a lot more expensive. For the diameter of the lens, you have to remember that the larger the lens, the more light can enter your eyes through it. As a result, you will be able to view clearer images. 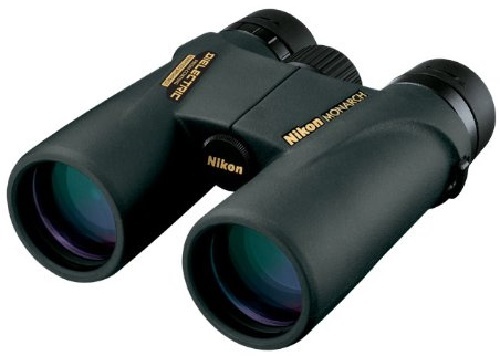 The most common diameters for bird watching binocular lenses are 30mm, 42mm and 50mm. There are two types of prisms: roof and porro. Roof prisms are arranged more closely, so they are compact and are in the shape of an H.
Porro prisms have a more elaborate arrangement with glasses offset from one another to give you a much wider field of view and clarity in depth. The kind of prism also affects the weight and size of the binocular. These factors are just the basic ones that you should consider, especially if you are just starting. There are other technical details that you can look for, but they will be for those professional and more experienced users.